If she returns to China, she could lose her life. 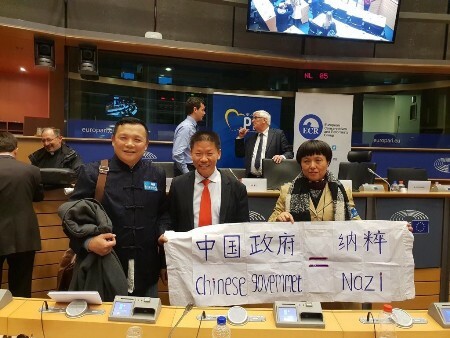 AMSTERDAM, April 12, 2019 /Christian Newswire/ -- A Chinese petitioner is on track to be repatriated by the Netherlands back to China, where she will likely face severe persecution and may even lose her life. Chen Yan sought asylum in the Netherlands after she faced persecution for petitioning the Chinese Communist Party. Now, shortly after she protested during Chinese Premier Li Keqiang's visit to Brussels (see a Radio Free Asia video here), the Netherlands is holding her in immigration custody and planning to send her back to China. Please click here to help people who are persecuted in China, like Chen Yan.